This morning I quickly scanned the day’s headlines as I made my breathtakingly beautiful way across from Gabriola Island to Nanaimo. News of climate change in Antarctica, another ISIS attack in Syria, North Korean nuclear testing and the launch of an independent investigation into the Trump campaign greeted me from every news source I visited. I looked up from my phone, spotted an eagle and thought to myself…thank you Model UN. Model UN stands for Model United Nations. We all know about the United Nations, the international organization created in 1945 to promote global peace and security, but how many of us know about Model UN? The answer is that a third of our Senior School students not only know everything there is to know about this organization but have been active participants in simulations that address exactly the complex international issues my morning reading highlighted. 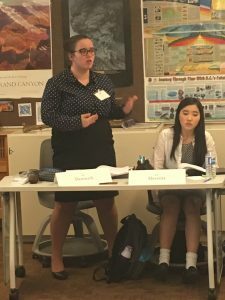 In many schools, Model UN is offered as a club. In our school we offer Model UN as a course for which students in Grades 10-12 gain elective credit. We do this because we know that the skills of negotiation, research, problem solving, conflict resolution and communication that Model UN focuses upon are critically important for our students to acquire if they are to achieve our school’s vision for “making positive impacts in the world”. This year, 36 of our students attended a regional conference which included nearly 400 delegates from as far away as New York state. QMS was celebrated for having the greatest number of delegates in attendance from one school. Our students excelled. Imagine having to assume the perspective of let’s say…North Korea. 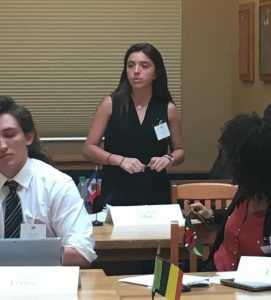 Trying to make a case for developing a nuclear arsenal and knowing how much work it’s going to take to both understand the issue from a North Korean perspective and then be able to justify that position publicly with a group of equally well prepared delegates assuming other countries’ positions. 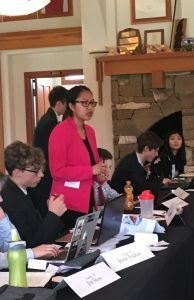 It is a daunting task but with the steady guidance of our Model UN teacher and many hours of hard work, the students arrived at the conference poised, articulate and thoroughly prepared for their various delegate roles. 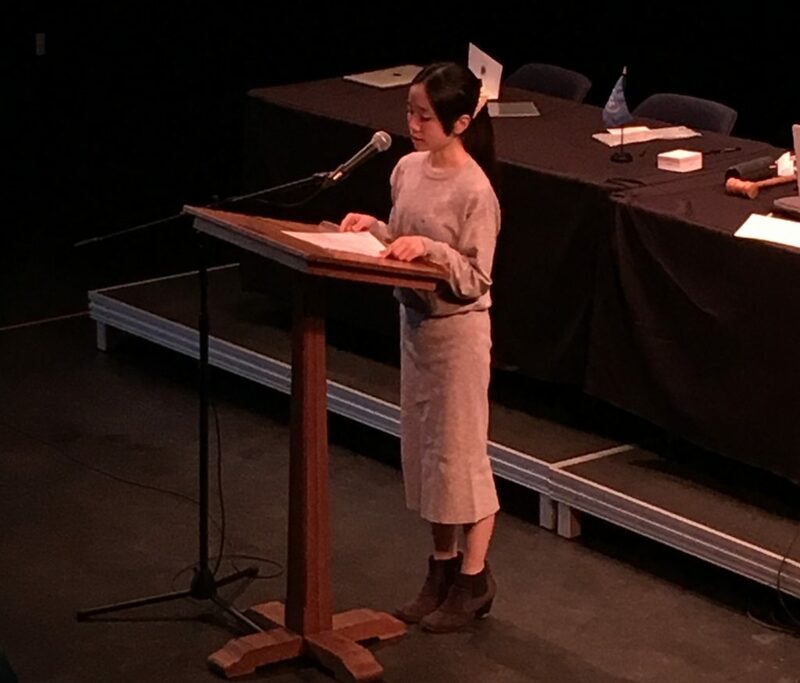 Yes, they demonstrated all the skills Model UN aspires to teach its members, but more than that each of them showed that our students have the capacity and the confidence to tackle important world issues from a range of perspectives using democratic principles. It is because of them I could look away from the headlines this morning, take in the beauty around me and feel confident that our future will be in good hands. Thank you Model UN.